Join Chase Public in our new home (!) as we welcome poet Caylin Capra-Thomas who is releasing a new chapbook Inside My Electric City available from YesYes Books. 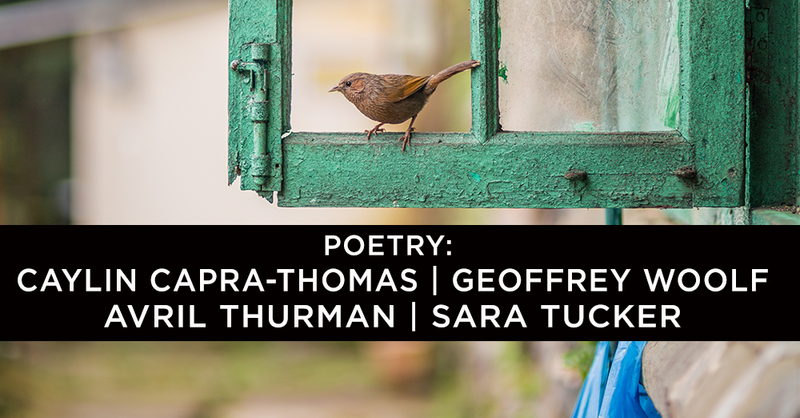 Reading with Caylin- Geoffrey Woolf, Avril Thurman, and Sara Tucker. Sara Tucker believes all small dogs should be called subwoofers. Influenced by magical realism, fugue states, and the microfictions of Lydia Davis, Sara crafts tiny tales that are influenced by her experiences. Sara makes bad puns and does other verbs in her lovely hometown of Cincinnati, Ohio. She is still working on that book. Avril Thurman was born in a log cabin in Brown County, Indiana. She has shown visual work in Brooklyn, Memphis, Covington, Philadelphia, Reims, and many beloved independent Cincinnati galleries. She was a Junie in the Bucknell Seminar for Younger Poets, and her poems have been published in the Madcap Review, as well as in Forklift, Ohio: A Journal of Poetry, Cooking & Light Industrial Safety. She is currently operating out of Cincinnati, where she now has nine kinds of hot sauce. Geoffrey Woolf is a Dean of Humanities and Sciences at Cincinnati State Technical & Community College. His most recent book, Learn to Love Explosives, was published by Dos Madres Press. He is a graduate of The Iowa Writers’ Workshop and Creighton University's Werner Institute for Negotiation and Dispute Resolution. Caylin Capra-Thomas is the author of two chapbooks: Inside My Electric City, available from YesYes Books, and The Marilyn Letters, available through dancing girl press. Her poems have appeared in numerous journals, including New England Review, Crazyhorse, Willow Springs, Ninth Letter, The Journal, Salt Hill, and elsewhere. She is the winner of The Baltimore Review‘s 2017 Summer Contest and Yemassee’s 2016 Nonfiction Prize. In 2018, she will be a writer-in-residence at The Studios of Key West, as well as the Vermont Studio Center, where she was awarded a fellowship. She lives in Cincinnati. Free - but buy a book?